CommunityWorks backed a real trendsetter when we helped Dee Johnson take Au Courant to the next level. 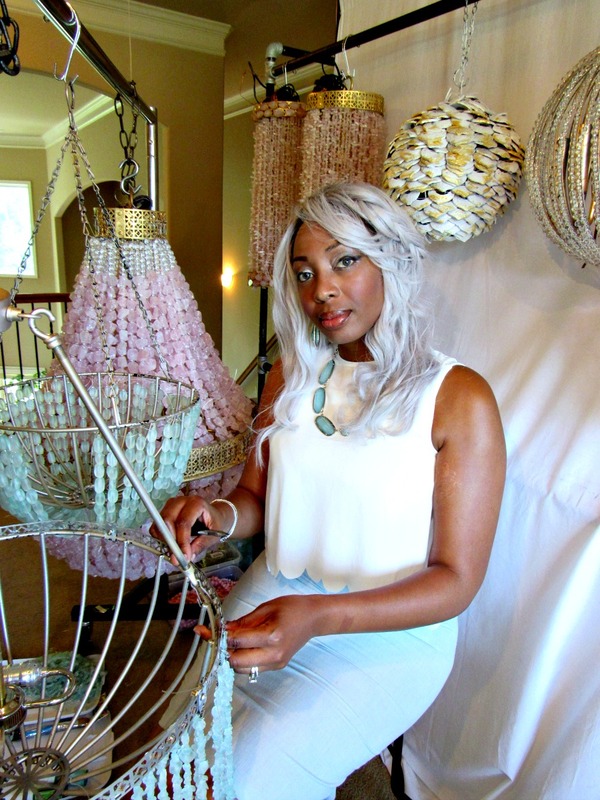 Small business owner DeLorean “Dee” Johnson has had quite a career trajectory that has led her to her dream business, Au Courant Interiors—and a small business loan from CommunityWorks has allowed her to expand her product line and advertise her business in national publications. When she arrived in Greenville, it was hard to get a staging business going because she had left her contacts behind in Virginia. But she had started making beaded chandeliers, and selling those online didn’t require a network of local connections. She made the first one after looking for an elegant chandelier that was durable enough to be in an outside covered area. Not only was there nothing she felt would suit the purpose, but the fixtures she did find were in the range of $5,000. The first one was made for her own home, and after friends commented on it and asked her where she got it, she sold it and has been making and selling them ever since. She has an Etsy site, which has the chandeliers as well as floral arrangements and hand-painted rugs, pillows, and duvet covers. “The Etsy site is where we test products,” she says. If something sells well there, it’s added to the Au Courant product line on her main web site. 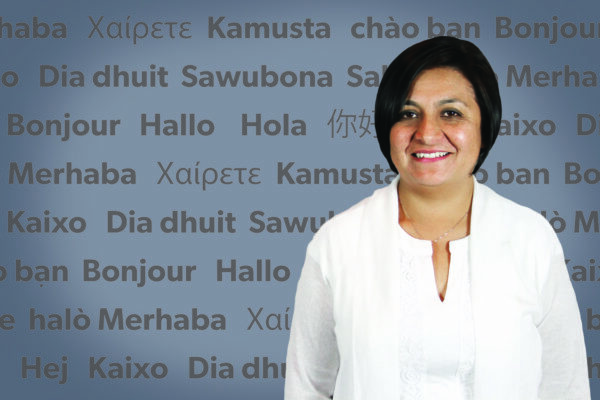 She has no showroom, and she works from her home, so to take her business to the next level, she knew she needed national advertising. As a start-up business, she knew a bank loan would be a long shot, so she found CommunityWorks through an internet search for alternatives. The loan allowed her to purchase advertising in Cottage & Bungalows, Romantic Homes, French Style, and Well Styled Home, with the latter two profiling her in their publications after becoming familiar with her business through her ad. “That’s the kind of trickle-down effect that spending money on advertising can have,” she says. In addition to the advertising, the money went towards purchasing supplies to make higher-end chandeliers out of two different types of sea glass and gemstones. Since the ads were placed, she’s seen orders go from one or two a month to one or two a week, and she hopes to have 10 to 15 pieces ready for the big home decorating show in High Point, NC in October. About 80% of her clients are interior designers, she says, with the remaining 20% being private customers who have seen her ads. Right now her only employee is her teenaged daughter, Yonni Anderson, but if business stays as steady as it is now, she says she may need to hire temporary workers for the busy times, especially leading up to the High Point Market trade show, as each piece requires about 20–30 hours of work.